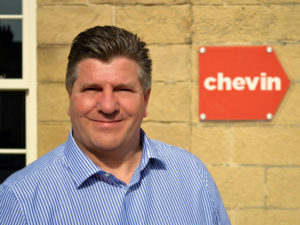 Chevin has appointed its former UK sales director David Gladding to a new role of global sales and marketing director in a drive to continue its worldwide growth. The new role builds on the firm’s record revenue growth (+57%) in 2016 and will see Gladding work to co-ordinate Chevin sales operations in all territories and further grow the company’s sales teams. The firm’s software is currently used by companies in more than 180 countries around the world to manage more than one million vehicles and assets and its team works from offices in the UK, US, Belgium, Australia, France and Germany. Chevin managing director Ashley Sowerby said: “David is a central member of the Chevin team with an unparalleled understanding of the global fleet management industry. “Starting with us back in 2013, he has worked tirelessly to help increase revenue, deliver improvements in customer account management and overall help Chevin and its customers achieve many goals and improvements across the board.